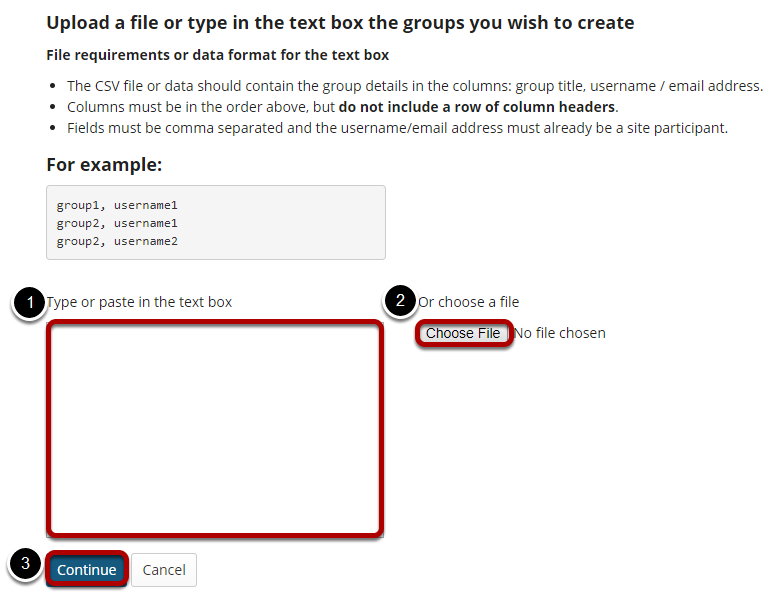 Sakai Community DocumentationSakai 19 User Guide (English) Site InfoHow do I create groups? 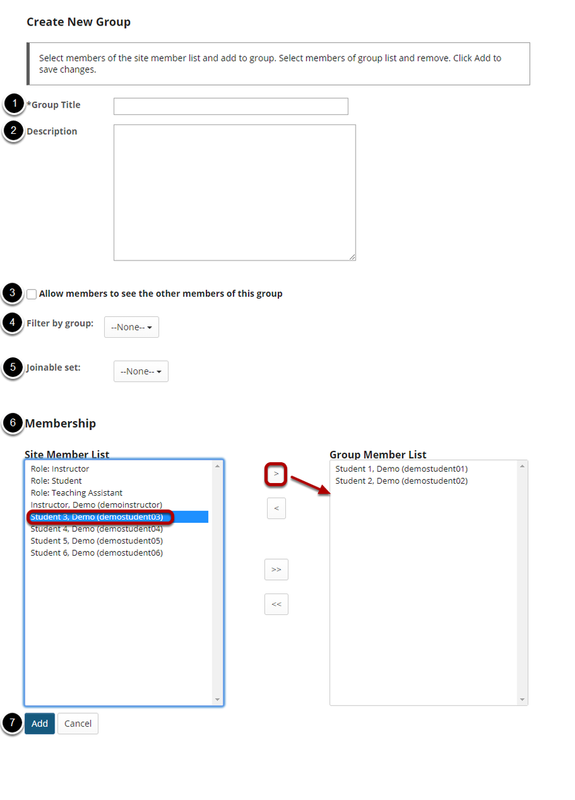 Check the box for Allow members to see the other members of this group if you want students to be able to see the names of their group members. 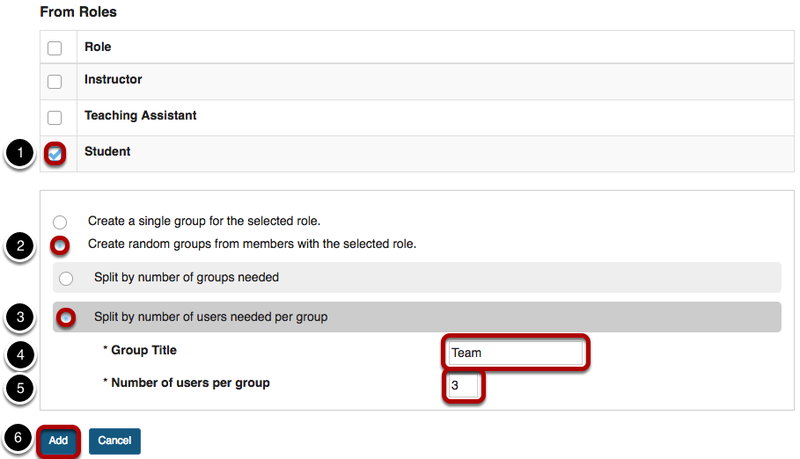 In the Membership section, click on a user or users names to select participants from the Site Member List. 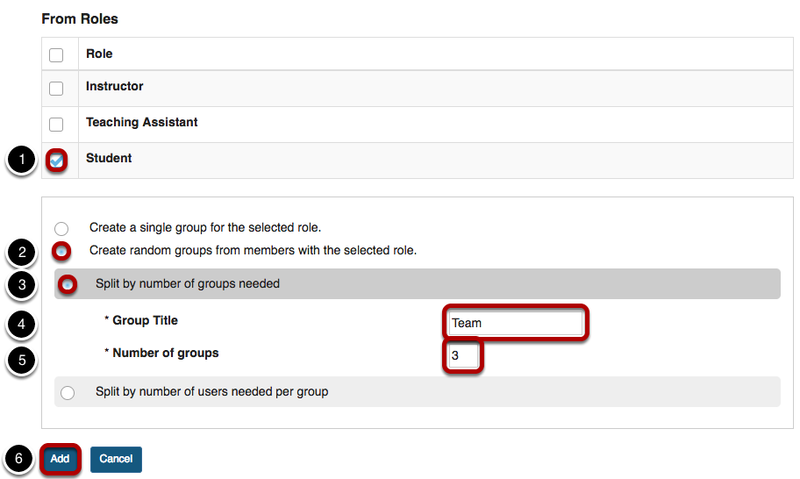 Then select on the right arrow button > to move the selected participant/s over to the Group Member List area. Select Create New Joinable Set. 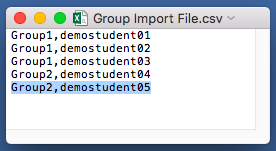 Type or paste the group information into the text box provided. Select Continue to proceed with group creation.